Alex Hillsden is an agent with MI-6. Born in 1926, Alec Hillsden first worked in Intelligence during WWII when in 1944 at 18 he started as an enlisted man and rose in two years to be a Warrant Officer II. After being demobbed, he was approached by MI-6 where he began a long and varied career. Austria, Lebanon, America, Bermuda, before heading back to Austria for ten years, his service was always top rated and without reproach, even when his adulterous affair with a fellow agent, Caroline Oates, became well-known when she was captured by the East Germans and tortured for weeks. Still his position rose steadily. Now in his early 50’s he was a well respected agent, close to the head of the department, Control. Weary is the best word to describe him, though, if anyone took the time to look closer. No one ever did, of course, for no one really cared about an old agent soon likely to retire and be gone. Not even his wife, partner in a loveless marriage, ever took the time to look. Hillsden was boringly solid. That is what made it more shocking when he disappeared and turned up later in Moscow, a double agent finally gone home to his reward. But was he really a turncoat? Was he an agent trying to dig his way into the enemy’s camp by pretending to defect? Or was he a man burdened with a life filled with what-ifs who saw a spark of life again when someone slipped into a rest home and killed the vegetable, Caroline, who had been the only real passion of his life. Was he a man who would give up his life, his career, his everything for a chance to find the man who ordered her killed? 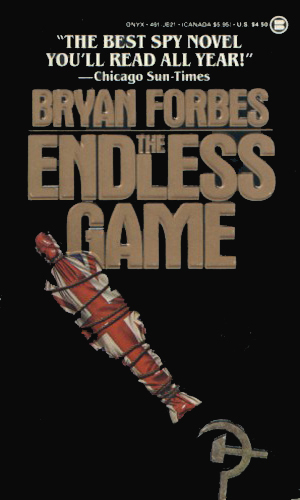 Note: The first book in the series, The Endless Game, was made into a television movie for Showtime in 1990, written and directed by Bryan Forbes. 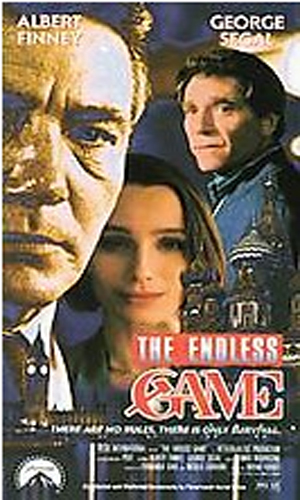 The great Albert Finney played Hillsden. The Russians are using two great weapons in its latest scheme - a highly trained assassin and a beautiful seductress. Against them is a sole British agent, but Alec Hillsden has learned many tricks in his years of service. An international assassin is at work, hitting powerful people across Europe but then disappearing without a trace. Known as the Fat Boy, he was now targetting someone in the British government but who and why was a mystery. In exile, Alec Hillsden plots his own revenge. Exiled in Russia for many years, Alec Hillsden is offered a pardon and a chance to live in Britain if he will come back and help solve a baffling case. With a daughter in Russia but his history in England, it is a hard decision. 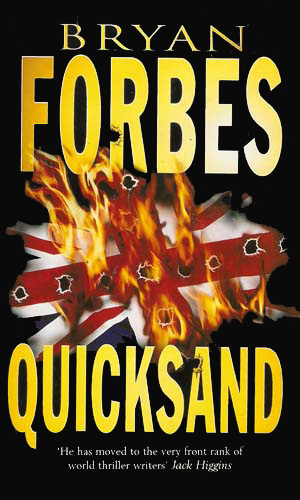 A very prolific and incredibly gifted writer, especially of screenplays, Mr. Forbes had but one of his spy series novels turned into a movie, this one being a made-for-tv movie. To find out who killed his former mistress, Alec Hillsden must dig deeply into his past for a enemy who hated him enough. I am not joking when I say that a playcard is needed to keep track of who is betraying whom, who is on the rise and who is ready for a fall or elimination. Mr. Forbes is a dynamite writer but, boy! I had to stop every now and then and wonder, "huh?" Perhaps another read is in order. Or would that just confuse me more? I would strongly recommend this series to any fan of spy fiction but do not read any of the three books if you are in the least depressed. 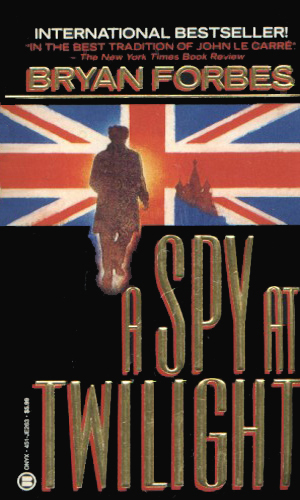 These books are bleak depictions of the shadowy world of spies. Nobody is happy. Nobody tries to be. Nobody thinks they ever can be. The world of espionage is often referred to as a gray one. Nobody paints it as gray as Mr. Forbes.